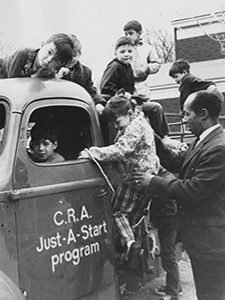 Just-A-Start (JAS) was founded in 1968 as a community revitalization and youth training program focused on improving Cambridge’s then-struggling Wellington-Harrington neighborhood. JAS was officially incorporated as a multi-service organization for community development programs in 1971. The agency has grown into a multi-service organization offering a diverse range of programs that support low- to moderate-income people from across Cambridge and surrounding communities in the metro north region. JAS’s primary service area is Cambridge, a city where economic growth has created substantial wealth, but this has exacerbated problems accessing affordable housing, which contributes to the economic insecurity of many residents. Since its inception, JAS has provided invaluable education, workforce development, and supportive services – beginning with the Summer Youth Enrichment Program, which still provides high school students with education and employment training each summer. JAS’s education and training programs serve high school students who need additional academic and career development support, at-risk youth who have dropped out of high school, and low-income adults who want to improve their career trajectory. These Programs now serve over 200 people each year with the goal of increasing their overall economic stability. Youth in JAS’s training programs also provide community service that benefits public housing residents in Cambridge and Chelsea – from beautification projects to full-scale rehabilitation of housing units. 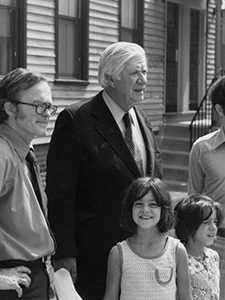 Since the early 1970s, JAS has developed and preserved 598 units of affordable rental housing, which provide quality, secure homes to low- to moderate-income residents, thus playing a vital role in maintaining Cambridge’s economic diversity. JAS has also developed 130 affordable first-time homebuyer units for purchase and manages the preservation, rehab, and resale of home ownership units screened by the City of Cambridge’s Affordable Housing Agreement. This work allows low-income residents who want to buy a home remain in Cambridge, despite the high cost of market rate real estate. JAS’s more recent real estate development projects all incorporate environmentally friendly and energy efficient features, with two developments receiving LEED Platinum ratings. Resident services are provided to about 1,500 low- to moderate-income people who live in JAS affordable rental properties, offering educational and community resources, and referrals to external community service providers. JAS also offers housing services over 1,000 community members every year, supporting renters by helping to resolve tenant-landlord disputes and prevent eviction, and helping low-income homeowners by providing financial and technical support for needed renovations.